If you are based in the European Union outside the UK and are interested in the widest range of cast iron radiators available on the Internet - you can order directly from ourselves or through one of our representatives in Europe. We have representatives and showrooms in Germany, Italy and soon in Russia and France that will be able to help you with your purchase of cast iron radiators. 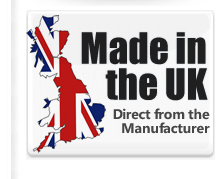 We are a UK based manufacturing company and therefore have to charge VAT at UK rates which are presently 20%. However, if you are a company based in the European Union that is VAT Registered in your country, we can zero rate your purchase for VAT as long as you supply us with a legitimate European VAT number. As the UK's largest manufacturer of historic cast iron radiators, we have the widest range of cast iron radiators available anywhere on the web. We have exported traditional radiators to over 30 different countries and have representation arrangements in several countries including the USA, Germany, Austria, Italy and soon we will be announcing partnerships in Russia and France. If you have any questions or would like to know where your local retailer of our beautiful cast iron radiators are based, pleases do not hesitate to contact us on +44 1723 321 000.